Stockbridge Property Management, Stockbridge Property Managers, Stockbridge, GA Property Management Companies. At All 3 Realty, our goal is to provide each and every one of our clients with the type of property management solution that they can depend on. It doesn’t actually matter if you’re a prospective tenant who is looking for someplace to live or if you’re a property owner trying to maximize your return on investment – we proudly do it all and bring our legendary attention to detail to each and every service that we offer. We manage some of the most desirable rentals in some of the highest quality areas around. We have an intense passion for real estate that helps drive us towards success, not just for ourselves but for every client that walks through our door, as well. That’s the type of commitment to service that you aren’t going to be able to find anywhere else. 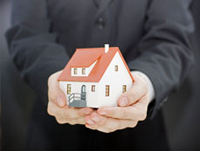 At All 3 Realty, we specialize in high quality property management services for investment property owners of all types. All 3 Realty specializes in Single Family Residential Homes, Duplexes, and Quads. Regardless of the type of building we’re talking about, we absolutely have the knowledge and the resources that it takes to help keep things running as smoothly as possible. Two of the main factors that we focus on when we take over the management of your property include increasing its desirability and enhancing its investment value. In order to increase desirability, we’ll go over the property in question with a fine toothed comb and help come up with the absolute best way to market it and play its strengths towards prospective tenants. When those tenant applications start rolling in, we’ll also go through an extensive screening process to help match up the best person with your property. You will always have a say in the matter – if you’d rather that two bedroom home that you purchased go to a family who can make wonderful memories inside and who will take excellent care of it, we’ll do everything that we can to make that happen. We’ll also manage the day to day operations of the property long after those tenants have moved in. When you enter into a relationship with All 3 Realty, what you’re really doing is starting a partnership. We’ll work together to help make sure that you achieve the highest possible return on investment in the best way possible. Contact us today for all your Property Management Service needs. Get started with your FREE RENTAL ANALYSIS above or, if you just need a little more information first, feel free to fill out the form . Having a successful rental property requires a lot of time, effort, experience and knowledge. Let us save you that time, effort and frustration that comes with gaining that experience. Have you thought of every aspect of self-managing your investment? Below are just a few of the things we handle for you, eliminating the stress of property management. 1. More effectively market your properties and fill vacancies sooner. 2. Price rentals right for your market and reduce vacancies. 3. Screen for the best residents. 4. You will be paid faster and more securely. 5. Collect rent faster with online payment options. 6. On-demand access to your statements. 7. Handle property maintenance issues faster. Location, Location! Conveniently located 20 miles south of Atlanta and 12 miles east of the Atlanta Hartsfield-Jackson International Airport, Stockbridge is recognized as the gateway to Henry county. It boasts fabulous small town hospitality and supportive economic development.